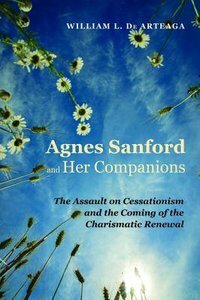 Agnes Sanford was arguably the most original and spiritually fruitful theologians of the twentieth century. Among her achievements were the discovery and development of the inner healing ministry, the development of a theology of the light of God (missing in Western theology), and the first ever theology of nature prayers--as in stilling storms. She and her husband developed a school to teach ministers and lay leaders healing and deliverance prayer, and the gifts of the Spirit a decade before the charismatic renewal made such things acceptable in mainline churches. In spite of these achievements, she is largely ignored and unrecognized today. This work examines her career and shows why her theology, though deeply biblical, was unacceptable to orthodox critics. Sanford was part of a group who worked from the 1900s through the 1960s to make healing and deliverance prayer as normal in church. They had to confront the erroneous established theology of cessationism, which affirmed that the healing ministry of the church was past. About "Agnes Sanford and Her Companions"